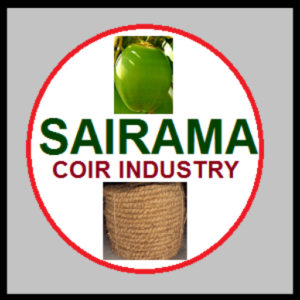 Sairama Coir Industry produces a comprehensive assortment of Coconut Products, made from supreme quality coconut. We offer unbeatable quality of Coir Fiber, Pith and Curled Coir Rope. We are supported by an experienced team and well-equipped manufacturing plant, which has enabled us to stand as one of the leading Curled Coir Rope Manufacturers & Suppliers. The coconuts, we use to produce various Coconut Products are processed by using latest technology, which not only enhances the production capacity but also provides smooth finish to our Coconut Products. We have a team of quality inspectors, which conducts stringent check in all stages of production. Because of we are the manufacturer of all coir products, we used to get the raw material from our own site which gives more quality to the product. we are using screener for drying and for maximum avoiding of foreign particles like sand in our final product. Our organization have SSI registered in 2016.